Along the Lake Michigan shoreline between Ludington and Manistee, you'll find a quiet area in all its natural splendor--carved from years of wind and water. The Nordhouse Dunes Wilderness encompasses almost 3,500 acres between Ludington and Manistee, with 7,300 feet of undeveloped shoreline. These dunes are close to 4,000 years old, with some rising as high as 140 feet. Heavy logging took place in the early 20th century, and luckily, what was left became protected as what is now the Manistee National Forest. Sand mining was in operation also, but naturalists noticed that the Nordhouse Dunes were home to unique plant life, as well as a nesting area for the piping plover. 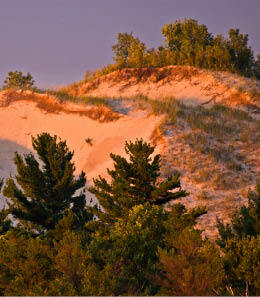 In 1987, Congress gave the Nordhouse Dunes its "Wilderness" status, the only place of its kind in Michigan's Lower Peninsula. This particular designation means no wheeled or motorized vehicles are allowed...keeping the area quiet and undisturbed. The name Nordhouse is derived from the German name Nordhausen, who was possibly a local lumberman. 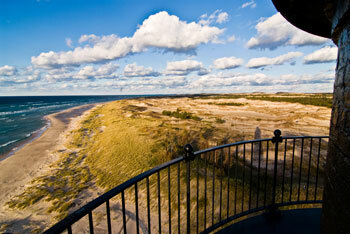 Nordhouse Dunes Wilderness is now managed by the National Forest Service. There is a limited trail system of 14.5 miles within the Wilderness which is never heavily populated. The trails are minimally marked and not always easy to follow. The 1.4 mile Nordhouse Dunes Trail gives you a good look at the dunes. There's also the Beach Trail, Ridge Trail and North Angle Trail. The Arrowhead Trail is adjacent to the Lake Michigan Recreation Area and is well marked. On your trek you'll discover that dune grass covers many of the dunes; the grass helps stabilize the sand. Take note of the other vegetation, including juniper, jack pine and Pitcher's thistle, which is a threatened species. 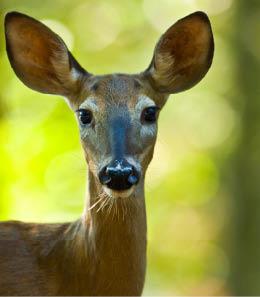 Many animals call the Wilderness home, including deer, fox, coyote, and porcupine. 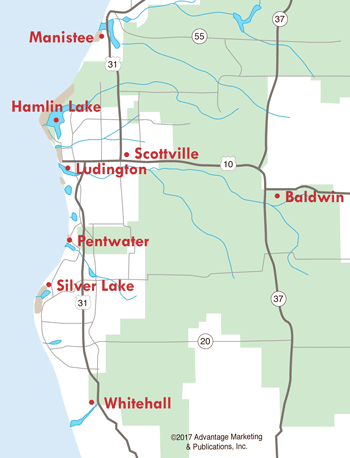 There are two access points to Nordhouse Dunes Wilderness. One is from the Lake Michigan Recreation Area between Manistee and Ludington (Quarterline Rd. to Forest Trail) in the northern section. There you'll find 99 campsites with fire rings and picnic tables. The other access to the southeastern part is by taking Nurnberg Rd. (also off Quarterline) To enter the Wilderness you must have a Recreation Fee sticker. Camping is dispersed throughout the area, but must be more than 400 feet from Lake Michigan and more than 200 feet from the Nordhouse Lake waterline. No campfires are allowed on the beach. There is no potable water available so you must bring your own. There are very few places that offer the kind of untouched natural resources you'll only find here...at Nordhouse Dunes Wilderness.